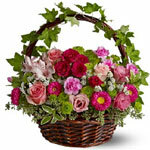 Just Becuase Baskets & beyond have a fantasic range of gift baskets for all occassions. They have gourmet baskets for men, gift ideas for women, greatchildresn gifts, retirement and congratulatroy gifts and much more. 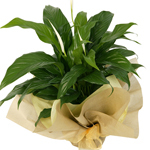 You can create your own customised gift, or personalise your gifts to suit th recipient. With lots of unique gift ideas available we are sure you will find just what you are looking for. 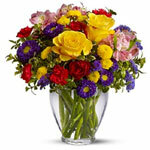 Women are always charmed by a bouquet of fresh flowers no matter what the occasion may be. So if you like the idea of surprising your wife, mother, sister or friends with a bunch of fresh flowers, do it in style and with proper timing. 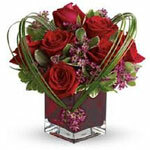 Our network of florists will create and deliver a beautiful floral gift for that personal touch. 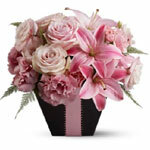 We have a great range of flowers and gifts all available for delivery with your own personalised card message. 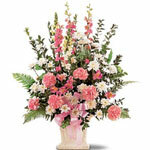 Selecting the right type of flowers for her is quite important to ensure the right impact. 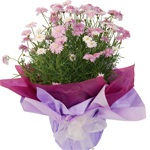 While cheerful and affectionate flowers like tulips, gerberas and daisies are a suitable gift to a mother or daughter, a bouquet of red roses is perfect for the special woman in your life. 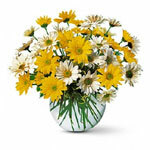 You can also add a balloon, chocolates or a teddy to your floral gift for that extra little something to make her smile. For something a little different why not send a gift basket, hamper, pamper pack or personalised gift? Our suppliers have a great range of gifts for your mother, sister, wife, girlfriend or friend to pamper, spoil, relax and unwind. 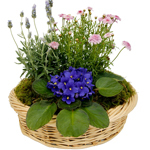 Gift baskets delivered to her door are a great surprise and are suitable for all occasions such as birthdays, celebrations and congratulations.